The Place to Grow project is a key part of our long term strategy to bring individuals in beneficiary communities together and connect inspired volunteers with survivors. When you experience a disaster, when you lose everything that was important, your world falls apart. You lose hope. You lose purpose. You lose the capacity to recover. Those who survived the disaster now must survive the recovery. For those who have lost so much, and so many after a major disaster, it is about more than just physical rebuilding. When you experience a disaster, when you lose everything that was important, your world falls apart. You lose hope. You lose purpose. You lose the capacity to recover. For the families I met in Minami Sanriku, 3.11 broke their world, their homes and their loved ones. Waves the size of mountains smashed into the hills and left brothers, sisters, mothers and fathers with huge holes in their lives. Those who survived the disaster had to learn how to survive the recovery. For me the journey to understanding the power of "choosing to matter" began on March 29th, 2011, my third trip to the devastated region. I realized two profound truths, that have informed my actions since. 1) We all need somebody to be there for us when we can not be there for ourselves. 2) To become inspired, we need shared experiences, and we need to feel like we are part of a team again, to know that people are rooting for us, and also that people are counting on us. I discovered my own personal value there. I chose to matter by staying and by volunteering. Since the inception of O.G.A. for Aid nearly 5 years ago, we have redefined what it means to help a community rebuild, and in the process have learned some amazing truths about the transition process of victim to volunteer. With Place to Grow, we are continuing that journey, and focusing on how we can support the complete recovery of survivors. Thank you for standing up, for your friendship, your encouragement, your humor, your interest in the lives of those who are struggling and live day in and day out with depression and despair. The impact this year was not just in the lives of survivors in Tohoku, but within the international community in Tokyo and beyond. "Providing inspiration, connection, and support to survivors of major disasters is the most important thing we can do to expedite their long-term recovery. Bringing fragmented communities together with workshops that connect young and old, and locals with outside volunteers, is the mechanism we use to make it a reality." Our beneficiaries are children and their families who have survived a natural disaster of horrific porportions, who have seen death & destruction close up. Many adults are experiencing a loss of hope & purpose for rebuilding their lives, while the youth grow up in very unstable and insecure environments. Rebuilding and revitalizing the community of Minamisanriku cho through providing a space to connect, a common purpose to come together and building a self- sustainable future. Download our Place to Grow business plan and overview PDF, here. If you have questions, or want to get involved, get in touch with the Place go Grow team here. 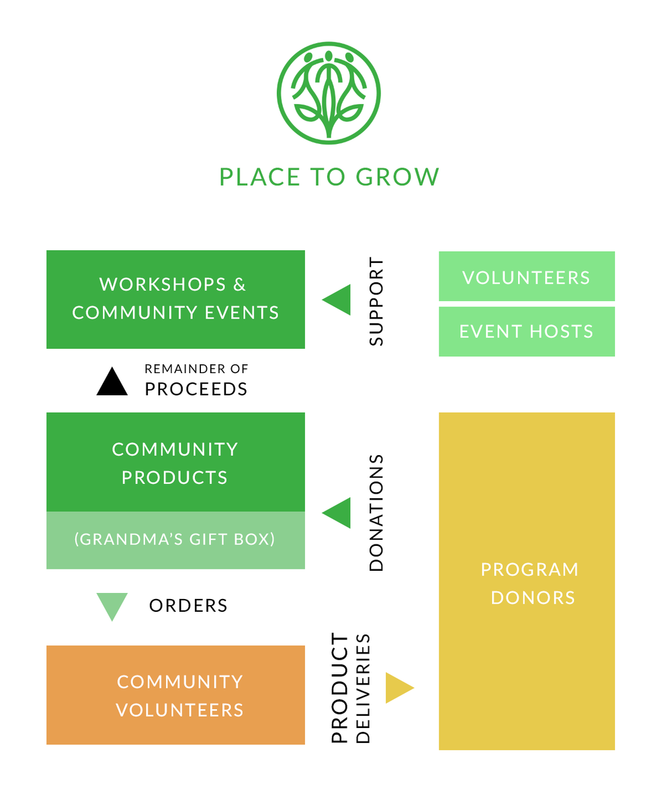 Place to Grow is presented by O.G.A. for Aid.